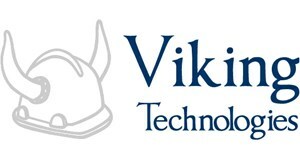 VIKING TECHNOLOGIES, LTD. is an Active Manufacturer with the Cage Code 71313 and is tracked by Dun & Bradstreet under DUNS Number 002049690. VIKING TECHNOLOGIES, LTD. VIKING TECHNOLOGIES, LTD. VIKING TECHNOLOGIES, LTD. VIKING TECHNOLOGIES, LTD. VIKING TECHNOLOGIES, LTD. VIKING TECHNOLOGIES, LTD. VIKING TECHNOLOGIES, LTD. VIKING TECHNOLOGIES, LTD. VIKING TECHNOLOGIES, LTD. VIKING TECHNOLOGIES, LTD. VIKING TECHNOLOGIES, LTD. VIKING TECHNOLOGIES, LTD. VIKING TECHNOLOGIES, LTD. VIKING TECHNOLOGIES, LTD. VIKING TECHNOLOGIES, LTD. VIKING TECHNOLOGIES, LTD. VIKING TECHNOLOGIES, LTD. VIKING TECHNOLOGIES, LTD. VIKING TECHNOLOGIES, LTD. VIKING TECHNOLOGIES, LTD.
NOUN: INDICATOR, COMMAND D; NSN: 1260-01-019-4546. MODIFICATION EXTENDS THE DELIVERY SCHEDULE FOR THE FIRST ARTICLE TEST REPORT BY 20 DAYS DUE TO A GOVERNMENT-CAUSED DELAY. MODIFICATION P00003 TO PURCHASE ORDER SPRDL1-12-P0075 1. CONTRACTOR: VIKING TECHNOLOGIES LTD. (71313) THE FOLLOWING CLINS ARE AFFECTED BY THIS MODIFICATION: CLIN NOMENCLATURE NSN PART NUMBER 0001AA CONTROL BOX,ELECTRI 1005-01-521-7960 163906:57039 0001AB FIRST ARTICLE TEST REPORT 2. THE PURPOSE OF THIS MODIFICATION IS TO IMPLEMENT A CHANGE TO THE TDP. THE THICKNESS OF THE PRINTED WIRING BOARD IS ALLOWED TO VARY FROM 0.062" - 0.100" (THE DRAWING ONLY ALLOWED FROM 0.086" - 0.100"). ACCORDINGLY, THERE WILL BE: A) A PRICE INCREASE AND B) SCHEDULE CHANGE. 3. AS A RESULT OF THIS ACTION, THERE WILL BE A CHANGE IN VALUE TO THE PURCHASE ORDER. A) THE TOTAL PRICE OF CLIN 000AAA INCREASED BY $1,575.66 FROM $48,020.34 TO $49,596.00. TOTAL PRICE BEFORE: $48,020.34 TOTAL PRICE AFTER: $49,596.00 ---------- INCREASE: $1,575.66 ========== B) THE UNIT PRICE OF THIS PURCHASE ORDER IS INCREASED BY $262.61 FROM $8,003.39 TO $8,266.00. UNIT PRICE BEFORE: $8,003.39 UNIT PRICE AFTER: $8,266.00 --------- INCREASE: $262.61 ========= 4. THE DELIVERY SCHEDULE IS CHANGED FOR: A) ALL OF THE PRODUCTION UNITS (CLIN 0001AA) B) FIRST ARTICLE TEST REPORT (CLIN 0001AB) (CLIN 0001AA) ------------- FROM: DEL REL CD QUANTITY DEL DATE ---------- -------- -------- 001 6 07-MAY-2014 TO: DEL REL CD QUANTITY DEL DATE ---------- -------- -------- 001 6 17-SEP-2014 (CLIN 0001AB) ------------- FROM: DEL REL CD QUANTITY DEL DATE ---------- -------- -------- 001 1 12-APR-2014 TO: DEL REL CD QUANTITY DEL DATE ---------- -------- -------- 001 1 18-JUL-2014 5. EARLY DELIVERIES ARE AUTHORIZED IF AT NO ADDITIONAL COST TO THE GOVERNMENT. 6. ALL OTHER TERMS AND CONDITIONS OF THE PURCHASE ORDER REMAIN UNCHANGED AND IN FULL FORCE AND EFFECT. MODIFICATION P00002 TO PURCHASE ORDER SPRDL1-12-P0075 1. CONTRACTOR: VIKING TECHNOLOGIES LTD. (71313) THE FOLLOWING CLIN IS AFFECTED BY THIS MODIFICATION: CLIN NOMENCLATURE NSN PART NUMBER 0001AA CONTROL BOX,ELECTRI 1005-01-521-7960 163906:57039 0001AB FIRST ARTICLE TEST REPORT 2. THE PURPOSE OF THIS MODIFICATION IS TO CHANGE THE DELIVERY SCHEDULES FOR: A) ALL OF THE UNITS AND B) FIRST ARTICLE TEST REPORT. 3. THE DELIVERY SCHEDULE IS CHANGED (CLIN 0001AA) ------------- FROM: DEL REL CD QUANTITY DEL DATE ---------- -------- -------- 001 6 31-JAN-2014 TO: DEL REL CD QUANTITY DEL DATE ---------- -------- -------- 001 6 07-MAY-2014 (CLIN 0001AB) ------------- FROM: DEL REL CD QUANTITY DEL DATE ---------- -------- -------- 001 1 30-AUG-2013 TO: DEL REL CD QUANTITY DEL DATE ---------- -------- -------- 001 1 12-APR-2014 4. AS A RESULT OF THIS ACTION, THERE WILL BE A CHANGE IN VALUE TO THE PURCHASE ORDER. A) THE TOTAL PRICE OF THIS CONTRACT IS DECREASED BY $499.98 FROM $48,520.32 TO $48,020.34. TOTAL PRICE BEFORE: $48,520.32 TOTAL PRICE AFTER: $48,020.34 ---------- DECREASE: $499.98 ========== B) THE UNIT PRICE OF THIS CONTRACT IS DECREASED BY $83.33 FROM $8,086.72 TO $8,003.39. UNIT PRICE BEFORE: $8,086.72 UNIT PRICE AFTER: $8,003.39 --------- DECREASE: $83.33 ========= 5. EARLY DELIVERIES ARE AUTHORIZED IF AT NO ADDITIONAL COST TO THE GOVERNMENT. 6. ALL OTHER TERMS AND CONDITIONS OF THE PURCHASE ORDER REMAIN UNCHANGED AND IN FULL FORCE AND EFFECT. MODIFICATION ISSUED TO ADJUST DELIVERY DATE FOR FIRST ARTICLE TEST. MODIFICATION P00001 TO PURCHASE ORDER SPRDL1-12-P0187 1. CONTRACTOR: VIKING TECHNOLOGIES LTD. (71313) THE FOLLOWING CLIN IS AFFECTED BY THIS MODIFICATION: CLIN NOMENCLATURE NSN PART NUMBER 0001AA PANEL,INDICATOR 5895-01-022-2470 11743140:19200 2. THE PURPOSE OF THIS MODIFICATION IS TO CHANGE THE DELIVERY SCHEDULE FOR ALL OF THE UNITS. 3. THE DELIVERY SCHEDULE IS CHANGED (CLIN 0001AA) ------------- FROM: DEL REL CD QUANTITY DEL DATE ---------- -------- -------- 001 17 30-APR-2013 TO: DEL REL CD QUANTITY DEL DATE ---------- -------- -------- 001 17 30-SEP-2013 4. AS A RESULT OF THIS ACTION, THERE WILL BE A CHANGE IN VALUE TO THE PURCHASE ORDER. A) THE TOTAL PRICE OF THIS CONTRACT IS DECREASED BY $501.50 FROM $98,217.50 TO $97,716.00. TOTAL PRICE BEFORE: $98,217.50 TOTAL PRICE AFTER: $97,715.50 ---------- DECREASE: $501.50 ========== B) THE UNIT PRICE OF THIS CONTRACT IS DECREASED BY $29.50 FROM $5,777.50 TO $5,748.00. UNIT PRICE BEFORE: $5,777.50 UNIT PRICE AFTER: $5,748.00 --------- DECREASE: $29.50 ========= 5. EARLY DELIVERIES ARE AUTHORIZED IF AT NO ADDITIONAL COST TO THE GOVERNMENT. 6. ALL OTHER TERMS AND CONDITIONS OF THE PURCHASE ORDER REMAIN UNCHANGED AND IN FULL FORCE AND EFFECT. MODIFICATION P00001 TO PURCHASE ORDER SPRDL1-12-P-0075 1. CONTRACTOR: VIKING TECHNOLOGIES LTD. 71313 THE FOLLOWING CLINS ARE AFFECTED BY THIS MODIFICATION: CLIN NSN P/N NOMENCLATURE QUANTITY UNIT PRICE TOTAL PRICE PRIORITY 0001AA 1005-01-521-7960 163906:57039 CONTROL BOX, ELECTRICAL 6 EACH $8,086.72 $48,520.32 "07" 0001AB FIRST ARTICLE TEST REPORT 1 2. THE PURPOSE OF THIS MODIFICATION IS TO CHANGE: A) THE FAT REPORT SCHEDULE B) THE DELIVERY SCHEDULE C) THE FAT REPORT SHIP TO 3. THE FAT REPORT SCHEDULE (CLIN 0001AB) IS CHANGED FROM: DEL REL CD QUANTITY DEL DATE ---------- -------- -------- 001 1 08-FEB-2013 TO: DEL REL CD QUANTITY DEL DATE ---------- -------- -------- 001 1 31-JUL-2013 4. THE DELIVERY SCHEDULE (CLIN 0001AA) IS CHANGED FROM: DEL REL CD QUANTITY DEL DATE ---------- -------- -------- 001 6 30-AUG-2013 TO: DEL REL CD QUANTITY DEL DATE ---------- -------- -------- 001 6 31-JAN-2014 5. THE FAT REPORT SHIP TO IS CHANGED: FROM: SHIP TO: Y00006 TO: SHIP TO: SPRDL1 6. THERE IS NO CONSIDERATION DUE FOR THIS MODIFICATION, BECAUSE THE GOVERNMENT IS RESPONSIBLE FOR THE DELAY OF THE SHIPMENT OF THE GOVERNMENT FURNISHED STABLE BASE MYLAR'S MASTER FOR DRAWING 170077 AND GERBER FILE MASTER FOR DRAWING 17007. THAT IN TURNED DELAYED THE SUBSEQUENT FAT REPORT AND PRODUCTION DELIVERIES. 7. THE CONTRACTOR HEREBY WAIVES ANY AND ALL RIGHTS AND CLAIMS FOR EQUITABLE ADJUSTMENT, INCLUDING ANY DELAYS, ATTRIBUTABLE TO SUCH FACTS AND CIRCUMSTANCES GIVING RISE TO THE INCORPORATION OF THE ABOVE. THE CONTRACTOR SPECIFICALLY WAIVES ANY AND ALL CLAIMS WHICH IT HAS OR MAY HAVE AGAINST THE GOVERNMENT RELATED TO ANY DELAY RESULTING IN THE INCORPORATION OF THE ABOVE CITED REVISION INTO THE CONTRACT. 8. ALL OTHER TERMS AND CONDITIONS OF THE CONTRACT REMAIN UNCHANGED AND IN FULL FORCE AND EFFECT. THIS PURCHASE ORDER IS TO PROCURE 6 EACH OF THE POWER DISTRIBUTION UNIT IN SUPPORT OF THE MODULAR COLLECTIVE PROTECTION EQUIPMENT (CPE) AND THE MULTIPLE LAUNCH ROCKET SYSTEM (MLRS). FIRST ARTICLE TEST (FAT) IS ALSO INCLUDED. ACQUISITION OF ELECTRIC CONTROL PANEL IN SUPPORT OF THE RECOVERY VEHICLE PROGRAM. PROCUREMENT OF 30 EACH TEMPERATURE INDICATORS FOR M88 RECOVERY VEHICLE. REVISION OF INSPECTION AND ACCEPTANCE FROM DESTINATION TO ORIGIN. THE PURPOSE OF THIS PURHASE ORDER W56HZV-09-P-0483 IS TO REIMBURSE VIKING TECHNOLOGIES, LTD FOR THEIR WORK PERFORMED FROM THE TIME WHICH THE PURCHASE ORDER W56HZV-08-P-0512, NSN: 5998-01-537-9252, CIRCUIT CARD ASSEMBLY, WAS AWARDED ON 2008FEB29 UP TO THE TIME WHICH THE PURCHASE ORDER WAS CANCELLED ON 2008MAY28. THE IS A MODIFICATION TO EXCERCISE A PARTIAL OPTION FOR POWER CABLE ASSEMBLIES, NSN 6150-01-382-8039, PN 12934332. MOD P00001 EXTENDS DELIVERY DATE FROM 27 MAY 2008 TO 14 NOV 2008 ALSO CONTRACT COST IS REDUCED BY $250.25 IN CONSIDERATION FROM THE CONTRACTOR FOR THIS MOD TO EXTEND THE DELIVERY DATE. FROM $39,046.70 TO $38,796.45 (A REDUCTION OF $3.25 PER UNIT, FROM $507.10 TO $503.85, ALL OTHER TERMS AND CONDITIONS REMAIN THE SAME. THIS ACTION IS TO CHANGE THE POC. CIRCUIT CARD ASSEMBLY FOR THE BRADLEY. REVISE DELIVERY SCHEDULE ON CLIN 0001AA.